Who doesn't love birthdays? I know I do and so does everyone else I'm sure, well except for those who don't want to get older. Maybe grandmas and granddads and even mommies and daddies probably. I know mommy says that she doesn't want to get any older because she doesn't like knowing she's getting old. Well regardless of whether you're getting old or not, everyone likes to celebrate their birthday with a card. 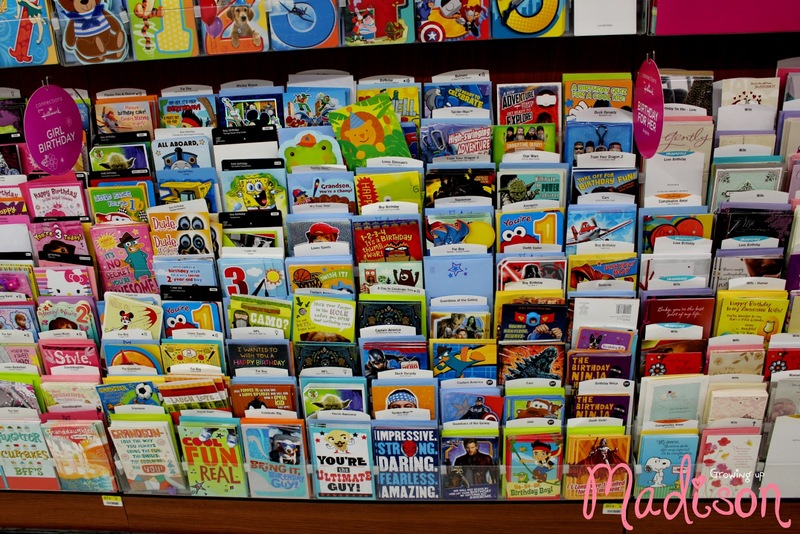 My brother Mikael will be celebrating his birthday in just a couple of days and mommy and I decided that we would head to our local Walmart and do a little card shopping. We knew that there would be a great kid cards that he would love there and we sure weren't disappointed. There we found the coolest Hallmark Poster Card. Now what's special about these cards is that they look just like regular cards but opens up poster size. You can't tell by just looking at it can you? 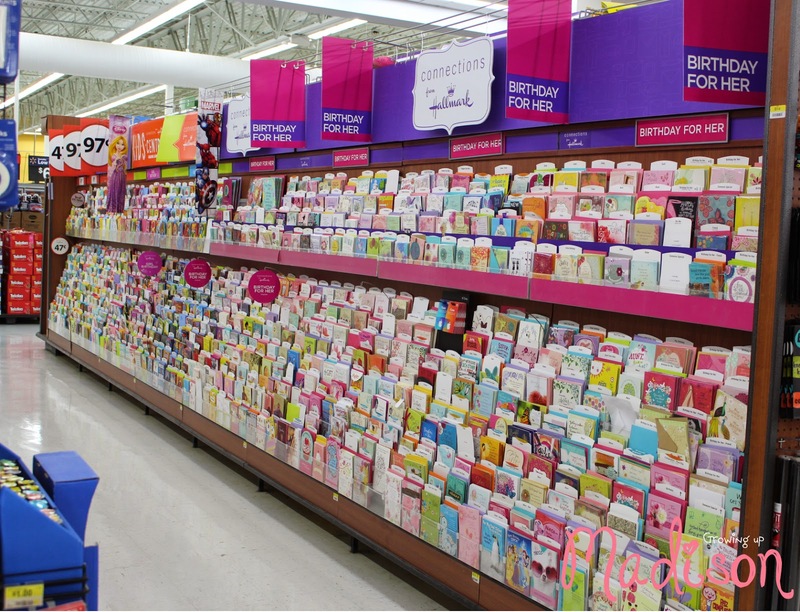 The Hallmark card aisle is extensive in our local Walmart. There were so much to choose from and there is something there for everyone. But the kids section has got to be the most awesome section of all. 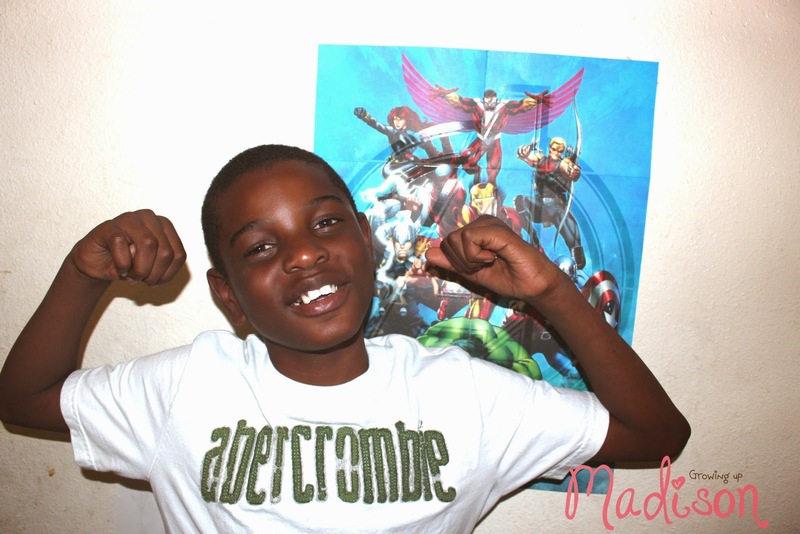 Mikael would be celebrating his 10th birthday and he's also a big fan of super heroes. His favorite being Captain America. There throughout all these great cards was the perfect card just for Mikael. It was as if Hallmark knew that was what he wanted. 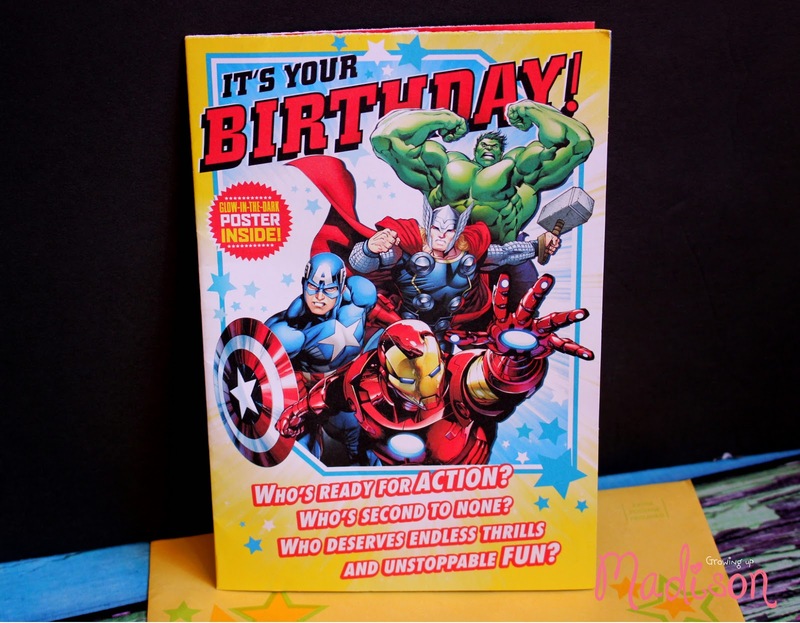 Throughout all the cards was an Avengers Poster Card with a glow in the dark poster inside. 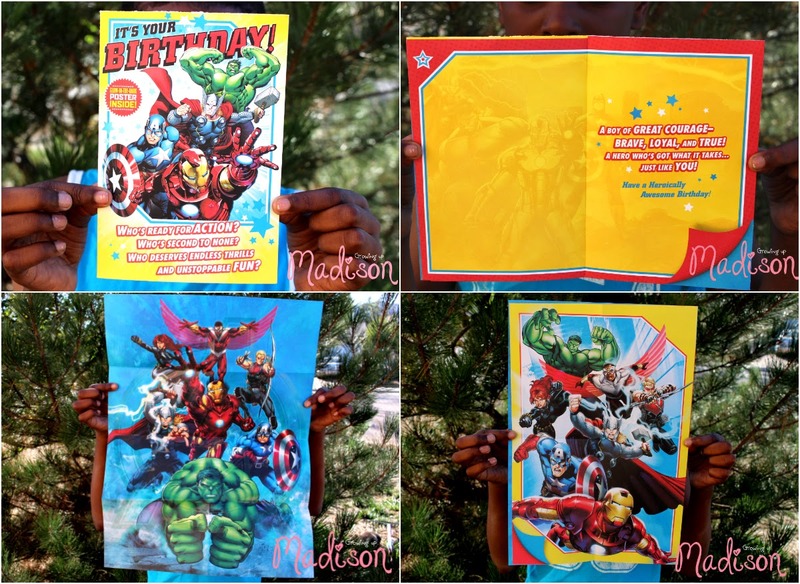 Mikael loves decorating his room with posters and here waiting just for him was the Avengers that he loved so much. We couldn't wait to get it home and for him to see it. You should have seen the smile on his face when he got it! He couldn't believe that this little card opened up into something that he loved. POSTERS! Check out our cool like GIF that we made to show you how cool this looks when opened. Now you're wondering why didn't we wait to give him this card on his birthday? Well wanna know a secret? We got him 2 of them. Yes he got this awesome Batman Poster Card as well that he will open on his big day. I'm telling you that you need to go and check out the Connections from Hallmark aisle the next time you go to Walmart. The little ones in your life would love one of these awesome poster cards and they're not only for birthdays. Check out that big smile on Mikael's face! He was only too happy to put his poster on his wall. Now you can sign up for the Hallmark Card Rewards Program where you earn rewards for every Hallmark card you buy at Walmart. For every 5 cards that you purchase, you'll earn an awesome reward. Best of all it's totally FREE! Also make sure you check out Connections from Hallmark to not only sign up for Hallmark Rewards, but to see great content from other bloggers as well. You can also join in the #kidscards conversation on Twitter! Those cards are really cool. It's funny, but I don't think I have ever bought my kid a card. I make homemade cards, but I bet they would love a poster card. Normally kids don't get that excited about cards, but these? These are like presents! I got a Batman one for my kiddo's birthday at the beginning of the month. He LOVED it! My daughter got one of these and they are the coolest! I can't remember the character.I also love Hallmark Rewards.. they really add up. I'm usually not one to buy cards for kids because they just seem like a waste to me. But these are pretty awesome since they can hang them up as a poster on their wall. I wish I had seen these in August when my youngest had his birthday. He would have loved these, hopefully they will be here next year. I love hallmark, and all of their products. My son loves cards, and he would totally love this. Hallmark has the best products ever. I do lots of shopping with them. My Mother In Law buys more cards than anyone I know... and they have to be Hallmark. I really like this idea! Often times, cards get thrown away. But turning them in a poser is a much more creative and greener option. That is quite the Hallmark card! I can see kids getting really excited over these cards...probably more than the actual gifts at a party. These cards are amazing. I wish they'd make them for other occassions too. I have seen several of these in my friend's houses already so I know people are buying them. They are delightful little keepsakes!! I saw these the last time I was at Walmart. My daughter's birthday is next months and I think she would really enjoy these! These are cute. Kids can now use these hallmarks too haha! These cards are so cool. It's like you can celebrate all year since the posters can be hung up! I love poster cards. I received one for Mother's Day! It's still up on my wall. I don't buy cards as often as I used to. It seems like they just end up in the trash. If I know the person is into crafts and uses them for paper craft projects,I buy them. I also still send them to friends out of state. I don't usually buy them for hubs anymore since they just end up in a pile never to be seen again. He loves comic books. I might have to give him one of these since they have posters. He can put them up with the rest in his man cave. These cards are a great idea for kids. My kids never enjoyed reading the cards but would have loved a poster to hang up. I love giving Hallmark cards to my husband and sons for those special events that come up. They are wonderful keepsakes. What cool cards with fun characters kids will enjoy. Love the poster tie. How cool is this? I love the poster cards Hallmark has came out with. Even though my kids are older I bet they would still enjoy one of these! Congrats on getting a new phone Mikael and happy birthday to you. I need to get this plan for myself. Way cheaper than what I'm paying now for sure.